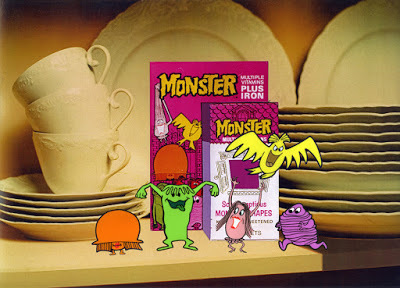 This entry was posted on October 14, 2016 at 10:22 pm and is filed under absurd, advertising, animation, halloween, monsters, music, video with tags absurd, advertising, animation, halloween, monsters, music, video, vincent price. You can follow any responses to this entry through the RSS 2.0 feed. You can leave a response, or trackback from your own site. Oh, that brings back such memories. 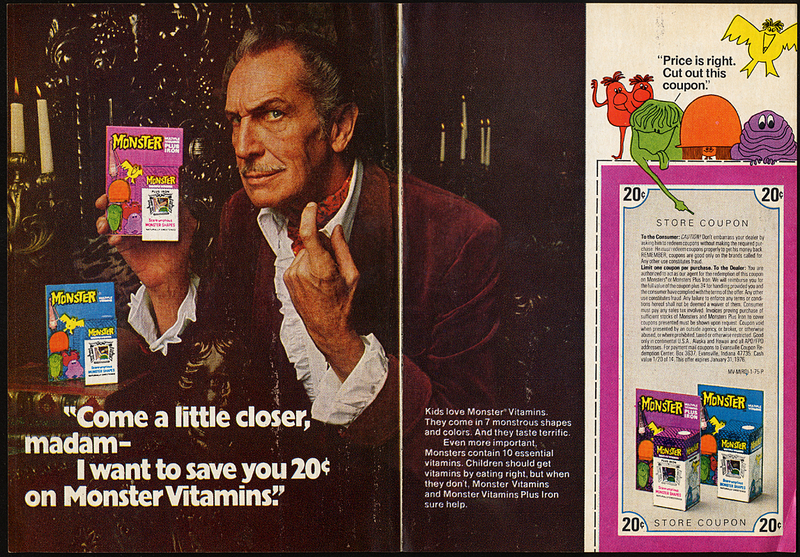 My mom, a total vitamin freak, would never buy those for me, she didn’t believe they were real vitamins, but all the other moms in the neighborhood had them for their kids. In other words, it was a most effective ad campaign. 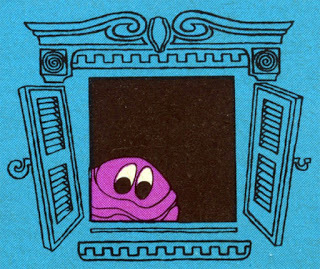 My favorite was Screaming Mee Mee, because Mee Mee was my grandmother’s name, and my father said the character was based on her. Sigh! Childhood in the monstrous 1970’s. So were you that kid who went over to all your friends houses and asked for vitamins instead of junk food?